After the revolutionary pension reforms and new flexibilities that came from the 2014 Budget, this year, in comparison, announced only minor changes. The further changes to pensions that the Chancellor introduced in the 2015 Budget included plans for a secondary annuities market and a hefty 20% cut to the lifetime allowance. Over 50% would consider selling their annuity! But is it good value? The consultation to lay the groundwork for a secondary market for annuities, announced in the 2015 Budget, will allow 5 million savers to trade their future annuity income in exchange for an immediate lump sum. A survey of 1,000 retired and non-retired respondents by adviser Portal Financial, which took place in March, revealed that over 50% of savers would consider selling their annuity. Of those, over half would do so because their annuity was too small, while nearly a quarter would want to use the lump sum for a significant purchase. It is important to note, however, that although this allows for greater flexibility, there are significant risks involved and many savers may suffer. What does the cut to lifetime allowance really mean for me? The Chancellor also announced a 20% cut to the lifetime allowance (LTA) for pension savings, reducing from £1.25m to £1m. This is the third time that the allowance has been cut since 2006, when it stood at £1.8m. The impact of the announcement is likely to vary across defined benefit (DB) and defined contributions (DC) savings. Is there now a mismatch in the way they are valued? The impact is likely to hurt DC savers disproportionately compared to those benefiting from DB schemes. Many public sector workers, such as doctors, dentist and civil servants could be affected by the cut. The commitment to index-link the LTA to the CPI from 2018 is a positive step. The 2015 changes represent the biggest shake up to UK pensions ever and reflect the Government’s vision for a more flexible regime; giving more choice, control and responsibility over how you can access your pension savings. The further changes to pensions that the Chancellor introduced in the 2015 Budget were only minor in comparison to the big pension reforms, in which we held seminars on in March, and that come into force in April 2015. The announcements included plans for a secondary annuities market and a hefty 20% cut to the lifetime allowance. 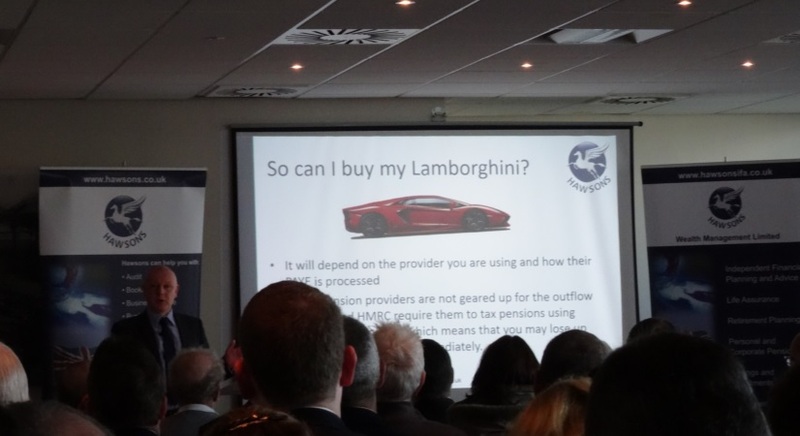 For more details on anything covered in this piece, or a recap of our recent pension seminars, please contact me using the information below. We will only be too pleased to help.